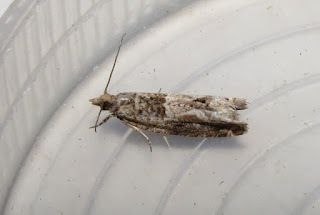 I found this Crocidosema plebejana in the garden mv trap this morning. Possibly a migrant and seems to be the third record for Worcestershire, assuming I have identified it correctly. A Pale Mottled Willow was also amongst a few resident species.